Welcome To Chestnut Family Dental! Welcome to Chestnut Family Dental! 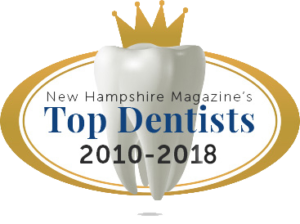 We proudly serve the Manchester, New Hampshire community with the best in dental care. Our goal is to provide each patient with a beautiful and healthy smile in an effective and efficient manner. Our Doctors strive to create a comfortable and friendly environment for our patients as we meet your dental needs. Once you enter our 105 year-old Victorian building you will see how “old meets new”, with original, intricate woodwork combined with the most up-to-date technology in the dental industry. The Chestnut Family Dental team provides our patients with the “Gold Standard” in dental care through our current and ever-advancing knowledge of dentistry and continuing education. If you have any questions about our treatment options or don’t see something you are looking for listed above, please reach out to us! Contact Your Manchester, NH Dentists Today! We hope to see you in our Manchester office soon for your initial consultation. Please do not hesitate to contact us with any questions or to book an appointment! Ever since I was a child I get nervous when I go to the dentist. Since I started going to your dental clinic, I feel very comfortable, relaxed and secure. Dr. DeLeo, you and your staff know how to put your patients at ease. Thank you for helping me pull my tooth out yesterday. It didn't hurt a bit! That was very nice of you. Sometimes as patients we forget to take time to let you know how much you are appreciated and to tell you what a GREAT JOB! you do. Keeping me healthy and staying right on top of things and having artistic abilities of matching colors is a plus. Thank you for keeping my smile on my face. You are highly recommended! I want to thank you very much for being honest with me. Just a note to thank you for your seriously in caring for my teeth! I must say that you and your assistant make going to the dentist a "most pleasurable experience"! Thanks for caring for your patients! It’s always difficult when you have to change doctors of any kind. You don’t know what to expect. However, as a new patient, all my fears and nervousness were quickly put to ease. From the moment I walked through the door I was treated like a long time patient. Everyone was very friendly and helpful and extremely professional. A GREAT practice!!! I have severe anxiety going to the dentist, but know it’s a necessary evil for good oral health. Each and every staff member takes good care of me & ensure that I feel comfortable. They anticipate my needs & make necessary accommodations. Chestnut Family Dental treats me like family. I never feel like “just another number” or “just a patient”. I have great confidence & trust in the providers and staff. Great office! Thank you! Have been with Chestnut Family Dental several years, would not dream of changing. Have been gentle and thorough and never had any problem. Very helpful with any questions, can't say enough about them. And dentist have always been something I am somewhat afraid of but never since I've been with my dentist here. Thanks! Always very thorough, very informative and always a friendly, pleasant and relaxed visit. Dr. DeLeo is always quick and happy to educate and keep me informed about options, give advice and answer any and all questions so my dental health is easy to comprehend. The hygenists have all been great whom have worked on me and the staff out front is always smiling and seem genuinely happy to be part of CFD. My wife Sarah and I are very happy with all of you...thanks! I just love Chestnut Family Dental! I used to be afraid of the dentist and am so comfortable now. Everyone who works there is friendly and personable. I would not go anywhere else!!! !